Help keep our Bees Buzzing! 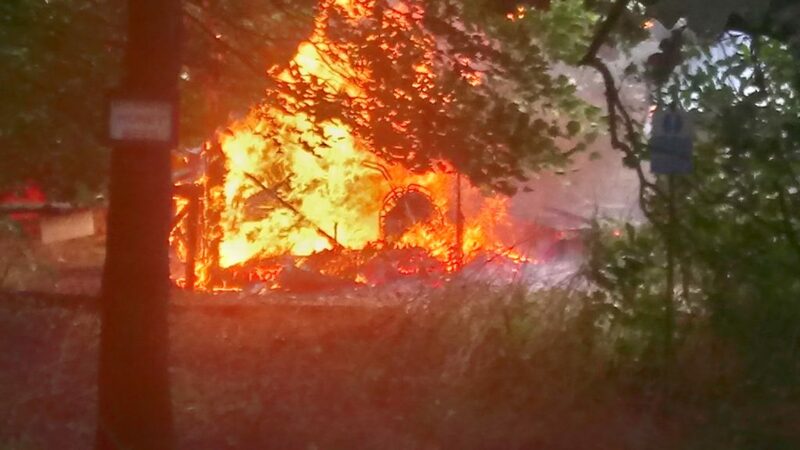 Sadly, at around midday on Wednesday 5th September, the shed next to our apiary at The People’s Community Garden burned to the ground. Luckily staff were on site, and saw the blaze from the cabin. They called the fire department, who came very swiftly to tackle the blaze. 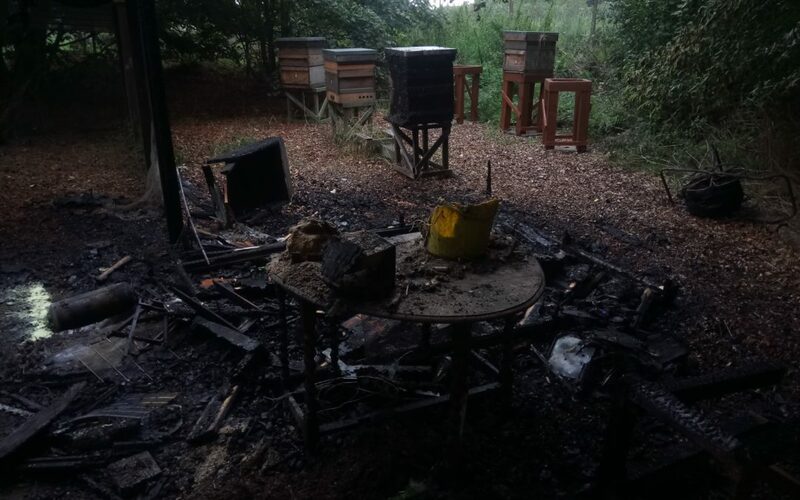 Fortunately no-one was hurt, but we’ve lost valuable equipment that we use to maintain our bee hives – as well as equipment we use with local organisations and schools to teach them about the bees. On top of that, one of our hives has sustained irreparable damage. The fire crew have told us that they believe it was an ARSON ATTACK, and have passed their report onto the police, who will be looking into it further. Our apiary is across the site from The People’s Community Garden, on Halifax Rd, backing onto Stoke High School. We have set up a fundraising page through BT MyDonate to raise enough money to replace the shed and all the equipment that was damaged in the fire last week.